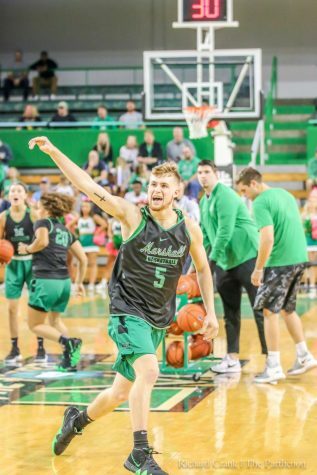 Marshall guard C.J. Burks (14) sets his feet for a shot attempt. Burks is second on the team in scoring behind Jon Elmore. 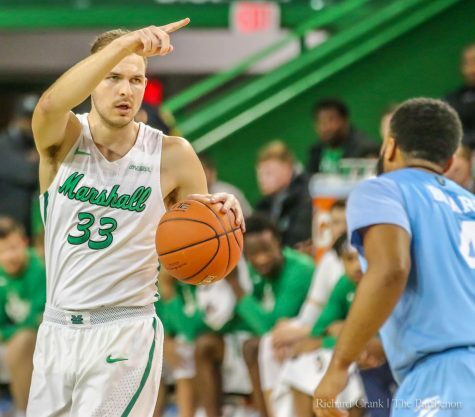 The Marshall Thundering Herd men’s basketball team defeated the Florida Atlantic Owls in a home conference game Thursday evening, 96-84, at the Cam Henderson Center. 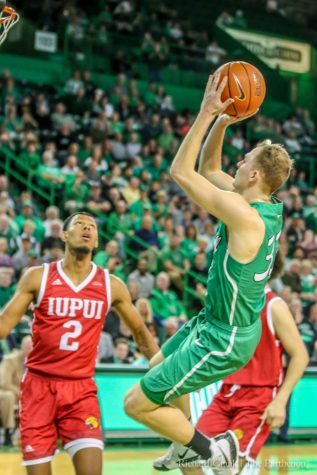 The Herd improved to 11-6 (4-0 C-USA) while the Owls dropped to 11-7 (2-3 C-USA). 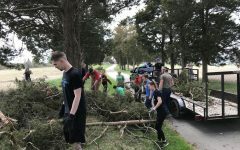 Senior guard C.J. 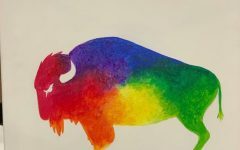 Burks led the Herd with 30 points, while senior guard Jon Elmore followed behind with 29 points. The senior guards combined for a total 59 points (16-of-31), respectively. Freshman guard Michael Forrest led the Owls, and all scorers, with 32 points, shooting 11-of-19 from the field. Forrest made six 3-pointers on 10 attempts in a career-best effort. 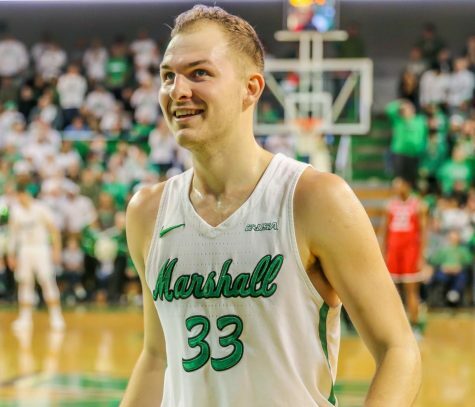 The Herd and the Owls both struggled offensively in the first half, trying to find rhythm as the lead changed eight times. 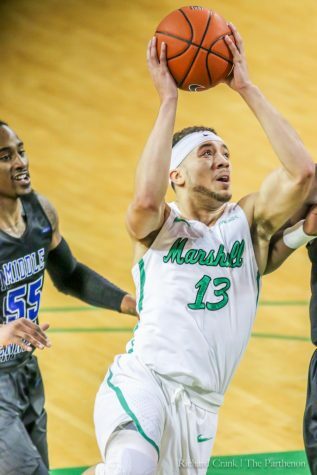 Marshall and Florida Atlantic both fought from beyond the arc only converting 6-for-15 and 4-for-13 in 3-pointers. “[Elmore and I are] two high-caliber guards,” Burks said. “We’re on the same page, and when we’re both clicking at the same time, it’s going to be very rough and a very long night for the opponent. 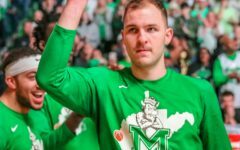 The Thundering Herd put up 47 points in the second half, which was just two points less than its first half output. 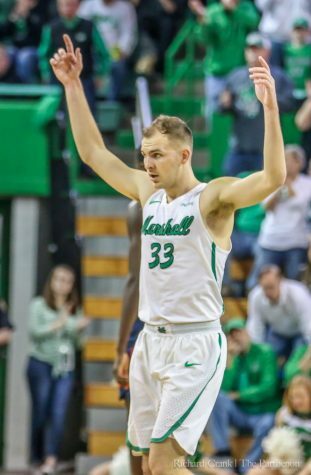 Marshall’s team only made three of its 10 3-point shots, while the Owls made 7-for-17. Both teams continued to battle as the lead changed twice. 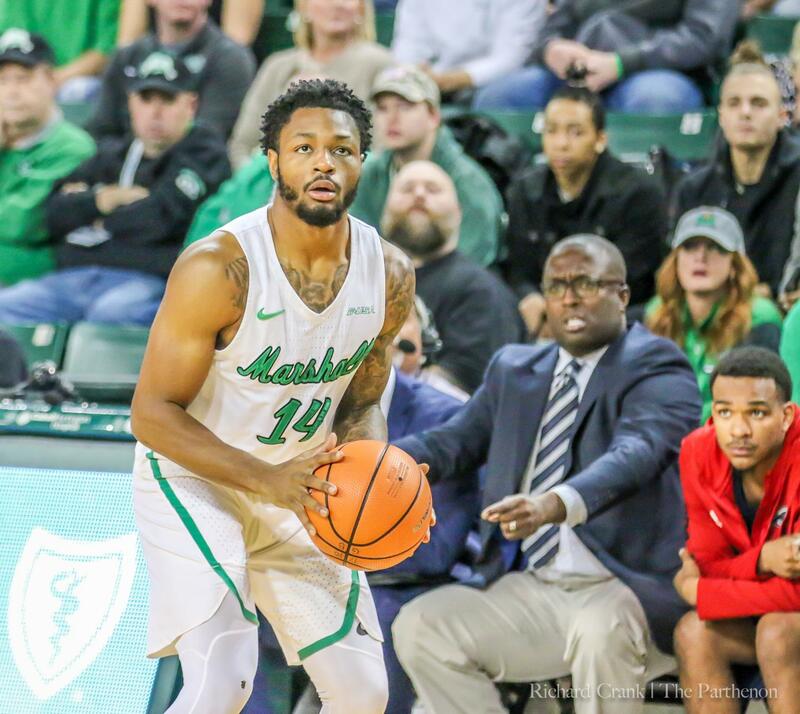 As team leaders, Burks and Elmore said they were both satisfied by the team’s success, especially coming off a tough home win against Western Kentucky. 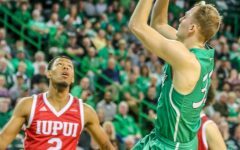 The Herd ends its three-game homestand Saturday against the FIU Panthers at 7 p.m. inside the confines of the Cam Henderson Center, where it looks to go 5-0 in Conference USA play for the first time since the 2014-15 season. 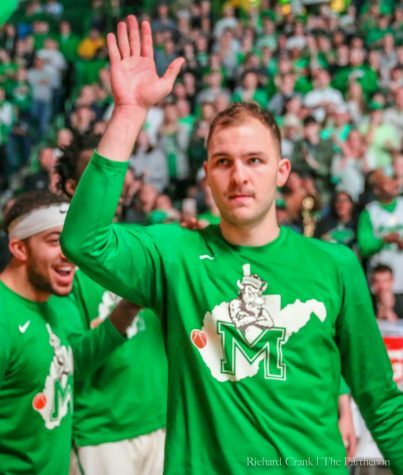 Marshall is currently the lone undefeated team in Conference USA play.